As part of the Society’s commitment to supporting the Museum, we agreed some months ago to fund the refurbishment of a painting that has been in the Museum’s possession for many years. Entitled “Channel Patrol”, this is a spirited rendition of a World War 1 Felixstowe F2 flying boat taking off from (or possibly alighting on) artistically stormy seas. The artist, Charles E Turner, was born in Lancaster in 1893. He became a specialist in landscape and marine views. Proficient in watercolours and oils, Turner exhibited at the Royal Academy in London as well as in Manchester and Liverpool. 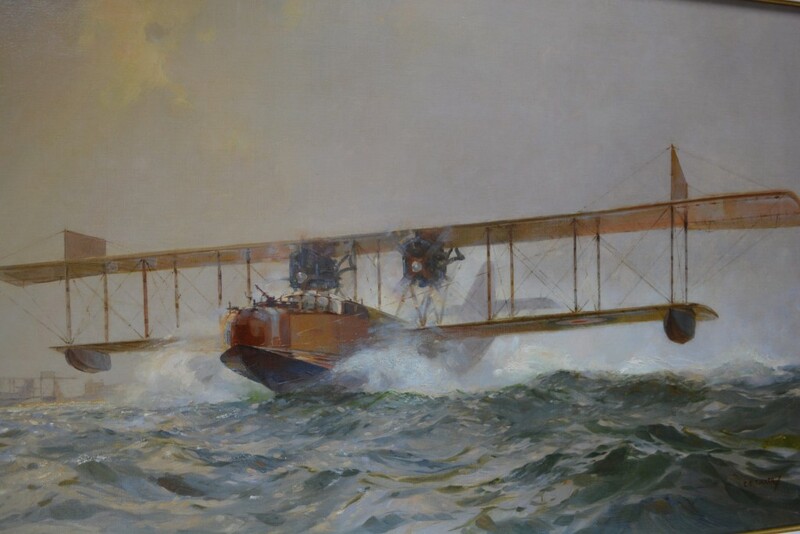 Turner fought in both the First and Second World Wars, as a captain in the Royal Naval Air Service, combining active service with service as a war artist, signing his work C. E. Turner. His best-known work dates from the two world wars and many of his oils and watercolour paintings from this period are preserved in the collection of the National Maritime Museum and at the Imperial War Museum in London. He died in April 1965. 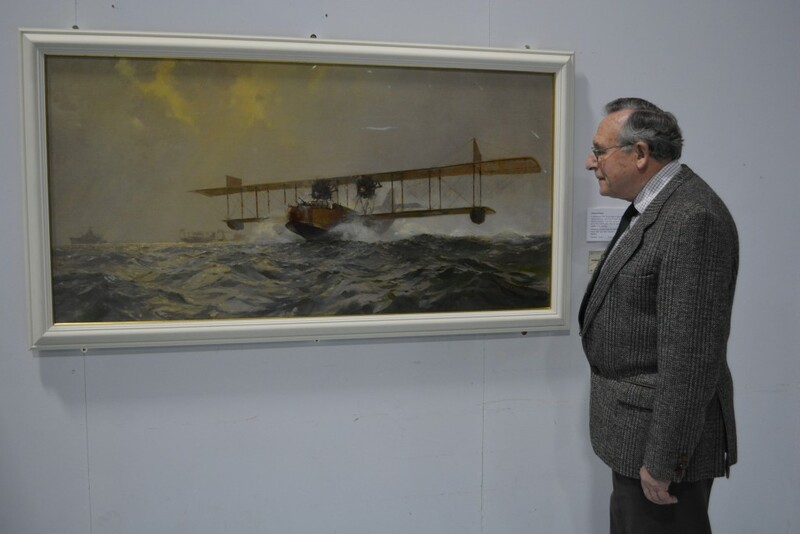 The FAAM originally requested funding from the Society at the June 2015 Council meeting and at the September meeting we were given an update as follows: “Our Conservator, Richard Pelter, has taken the painting away for conservation. An initial inspection shows that the discolouration of the painting is likely to have been caused by exposure to smoke in the immediate environment over many years. Fortunately, the frame and the canvas appear to be in good condition, as is the paint, with no signs of cracking or flaking at all. The overall treatment, therefore, is likely to be cleaning, as opposed to any requirement for remedial conservation, which is as we hoped and is a great relief.” The Museum also asked Richard to clean the frame and to glaze the painting with ultra-violet filtered anti-glare glass, so that it may be put on display as soon as it returns to the Museum. 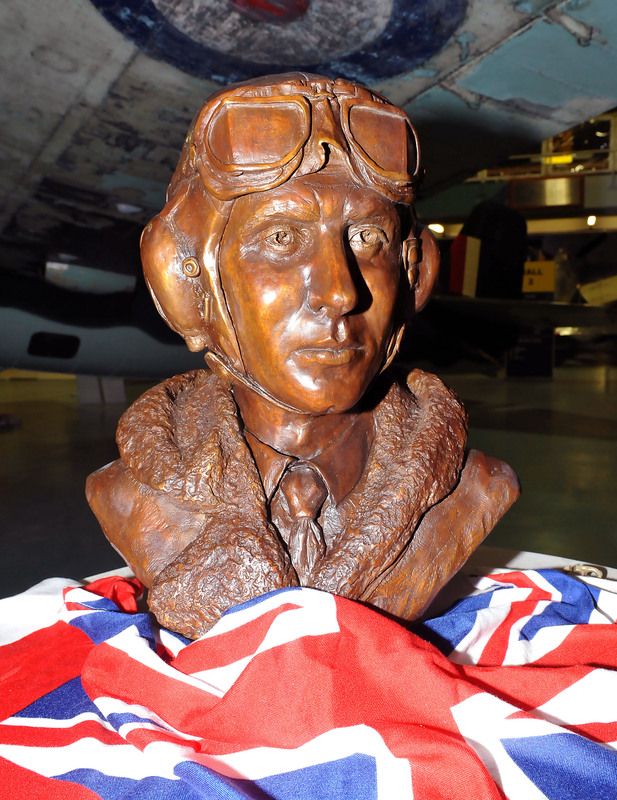 The framed picture, now on display in the Fleet Air Arm Museum, is admired by the Society’s Treasurer, Gordon Johnson. 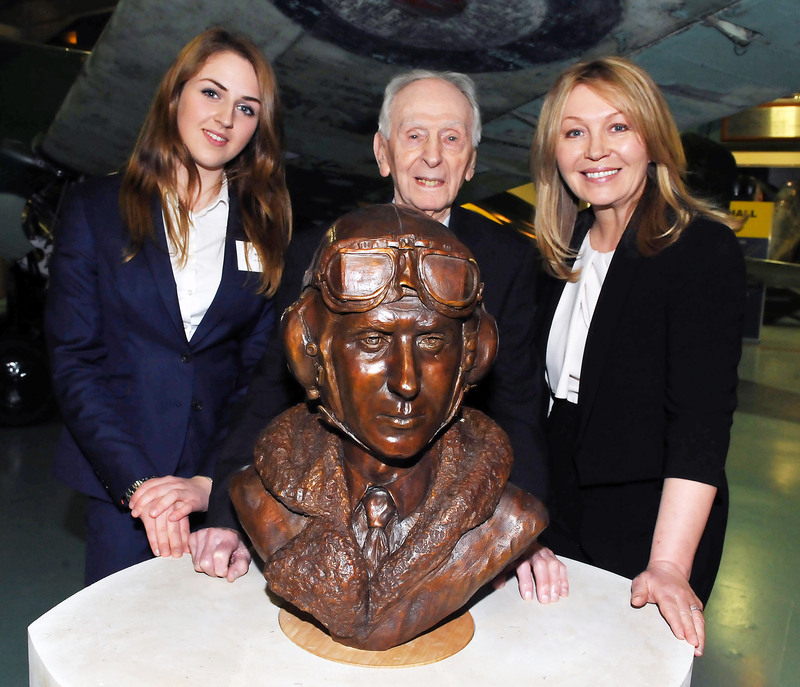 An invited audience gathered before the restored Martlet fighter aircraft in the Fleet Air Arm Museum on 12 March 2015 for the unveiling. Among those present were Rear Admiral Terry Loughran, Chairman of the Museum Trustees; John Longworth-Krafft, Chief Executive Officer of the Fly Navy Historic Trust; Ray Hatton, also of the FNHT; Commander Henry Mitchell RN, Commander (Air) of the Air Station; Colonel Mike Smith (Commander ARF); Lt Colonel Paul Tedman (1 Regt AAC CO) and Captain Niall Griffin (CO CHF).